Liberal Judaism’s self-proclamation as the heir to the social justice ideals of the prophets cannot be achieved by words alone, it requires action. That action can be taken by you, yes you, dear reader, as well as by your synagogue and by our national movement. There are those who argue that the concept of ‘re-distribution of wealth’ is no longer relevant. There is more evidence to support the case that societies fracture when the gap between the richest rich and the poorest poor grows too extreme. Our Judaism surely must be concerned with healing society and preventing such fracturing. When I attended the a parliamentary reception to mark Living Wage Week in November, I heard some shocking facts and some inspiring ones. One shock was that since the National Minimum Wage was established in 1999, it has risen from £3.60 per hour to £6.31. If the National Minimum Wage had risen at the same rate as the pay of the directors of Britain’s top 100 companies, the Minimum Wage would now be £19 per hour! One clear focus for Liberal Judaism, which is entirely in keeping with our purpose of contributing to the betterment of society, is to ensure that anyone from whose work we benefit is paid a living wage. Internationally, the FairTrade kite-mark has become well known for assuring us of this. Until recently, there was no similar way to know who in this country was receiving a living wage. Citizens UK and The Living Wage Foundation have been campaigning with increasing success to change this. Liberal Judaism and its synagogues support this campaign, and I would hope every Liberal Jew will too. The Living Wage nationally is calculated by the Centre for Social Policy at Loughborough University and is currently £7.65 per hour. The London Living Wage is currently £8.80 per hour, and is set by the Greater London Authority. Both rates aim to enable an employee to achieve a basic but acceptable standard of living, something we would see as totally in keeping with the teachings of Judaism. One of the key laws of the ‘Holiness Code’ that we read every Yom Kippur afternoon relates directly to the wages of a hired servant, which must be fair and paid on time (see Leviticus 19:13). Maimonides set the highest level of tzedakah (meaning social justice) as being to enable someone to earn a living. 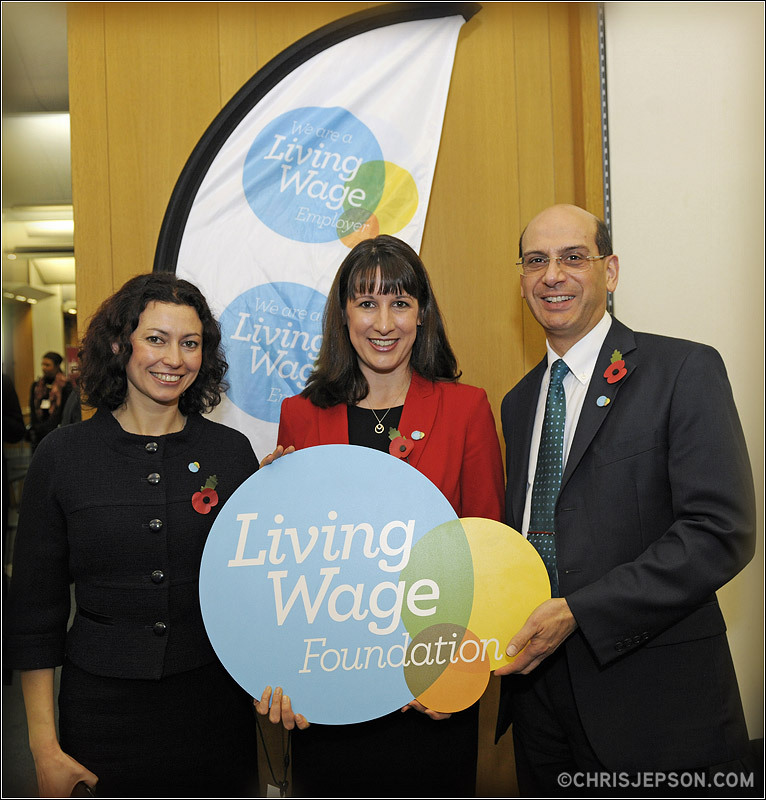 As of November 2013, 432 employers have committed to be Living Wage Employers and the number is growing increasingly rapidly. Liberal Judaism has participated in events and actions designed to encourage other employers, such as Premier League football clubs to improve their community relations and reputations by following suit. National and international companies report increased productivity and commitment following from their decisions to pay the Living Wage. This is not just from the staff on that pay rate, but from others who feel more proud of their company! The Living Wage is a voluntary commitment for employers, one which we see as morally and ethically right, as well as economically justifiable. By next May, when our movement gathers for its Biennial Weekend, we aim for our headquarters and all synagogues to be Living Wage employers. It would be even more wonderful if every single Liberal Jew could say that anyone and everyone who is paid to provide goods and services directly to you receives the Living Wage – if you have a cleaner or care support in your home, ask the local authority or the agency that provides them to pay them a living wage. It’s only just! I am pleased to say that when the elected officers at Woodford looked at the wages we pay to our staff and contractors, we found that we are paying a Living Wage. 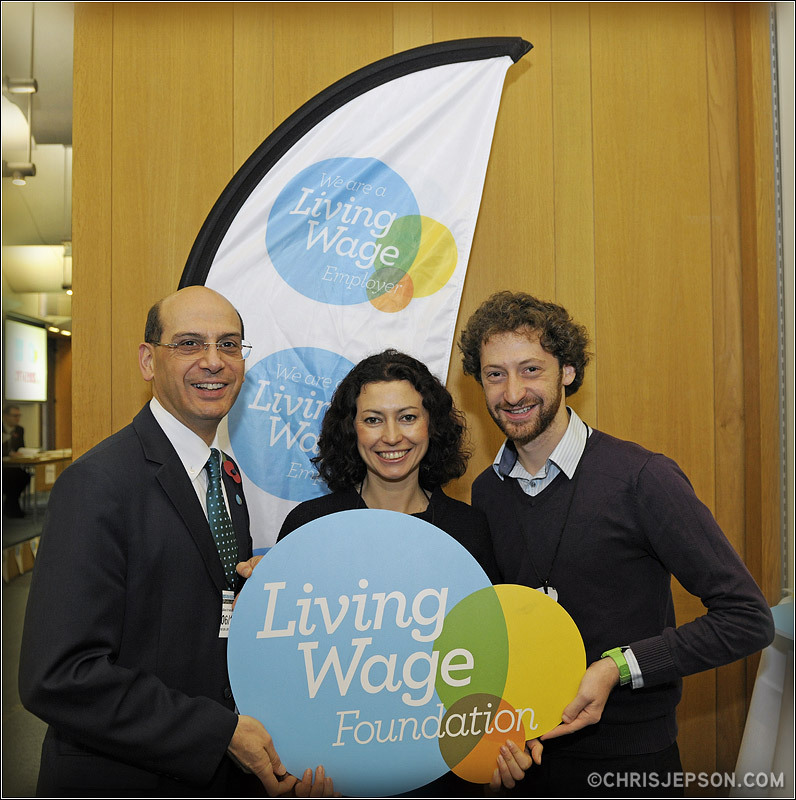 Woodford Liberal Synagogue is now looking into becoming an accredited Living Wage employer.